RateSetter has now crossed the £0.5 billion mark, becoming the third UK platform to have accomplished the feat. The prominent consumer-lending outfit has pulled over the line close on the heels of peer-to-business lending giant Funding Circle, which reached the milestone barely 2 weeks ago. RateSetter hit £300m in cumulative lending as recently as August 2014. For context, Funding Circle arrived at the £300m mark in late June 2014. In other words, RateSetter’s transactional flows are accelerating with unique rapidity. Indeed, the platform lent £43.5m in January – smashing the UK record for monthly origination volume. There are many driving factors behind the platform’s expansion. 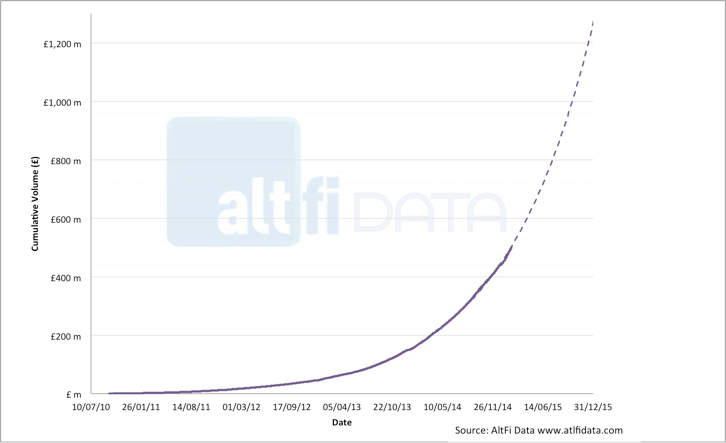 First, peer-to-peer lending’s general growth in terms of public awareness. 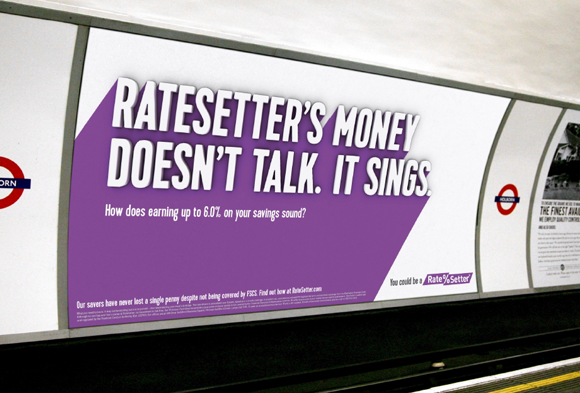 Indeed, RateSetter has made a substantial contribution to this (as well as to its own brand recognition) via an extensive advertising campaign – a sample of which may be seen below. The platform has also announced a large number of strategic partnerships and initiatives over the past year. To name a few: the absorption of GraduRates’ loan book, securing a £10m commitment from the British Business Bank, forming an arrangement with mobile phones provider GiffGaff and constructing a bespoke portal for the IFA market. This is not to mention, of course, that RateSetter is becoming increasingly hybridized. Whilst consumer lending remains at the heart of the proposition, the platform revealed in December that it has also been engaged in a degree of SME and property lending – channeling funds from individuals, businesses, institutions and charities/livery companies. “We’re on the brink of the most exciting change in the UK financial system in a generation, and we feel privileged that RateSetter is at the forefront of this change. “Institutional investment, SME lending and new pensions freedoms will all further accelerate growth in the sector. As the industry matures we may well see a split in the market between platforms that transition towards institutional lending, in a similar manner to the US market, and those which remain consumer-focused at their heart.